Sky tech BD introducing best way of promote your product & services in largest youtube video marketing platform. 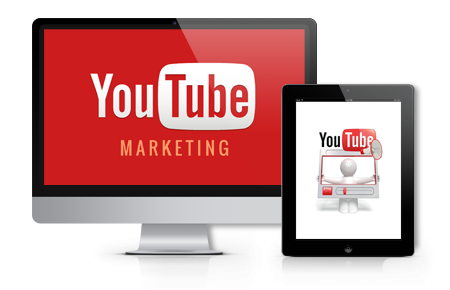 Now a days youtube video marketing and image banners marketing already take a good position in Bangladesh. On YouTube, viewers can discover videos in various ways, for example, by searching on the YouTube search page, clicking suggested videos on the watch page, or choosing a video from the homepage feed. This means you can more effectively find people who are searching for you and your brand across YouTube. You only pay when someone engages with your ad. If they skip it before 30 seconds (or the end) you don’t pay a cent. The video ad can appear when a user initiates video play either in the beginning (pre-roll), at points in between (mid-roll), or after (post-roll). Video ads are offered as either skippable or non-skippable, and may be served as a YouTube-hosted video (recommended) or a third-party-hosted video. Skippable: In a skippable video ad, viewers are given the choice to skip the ad after the initial 5 seconds. After the view of a skippable ad, it will increment the YouTube view count at the 30 seconds mark or when the ad has been watched completely. Skippable video ads can be a maximum of 60 seconds long.